Firstly thanks to everyone who nominated speakers, it’s nice to see so many of you with such great suggestions. Thanks to your great response we’ve assembled a short list of potential speakers, attached to this e-mail. Now we are asking you all to vote for the top 3 speakers you would like us to invite using the Google Forms link below. Please vote by Wednesday Sept 21st. Even if you didn’t nominate someone, please vote and encourage your labmates to vote! We all have to attend these seminars, the least we can do is invite someone that you want to see. Make sure you have your say! Posted in Uncategorized, Image format on September 16, 2016 by mcgillbgss. BGSS cordially invites you to the First Pub Night of this School Year. 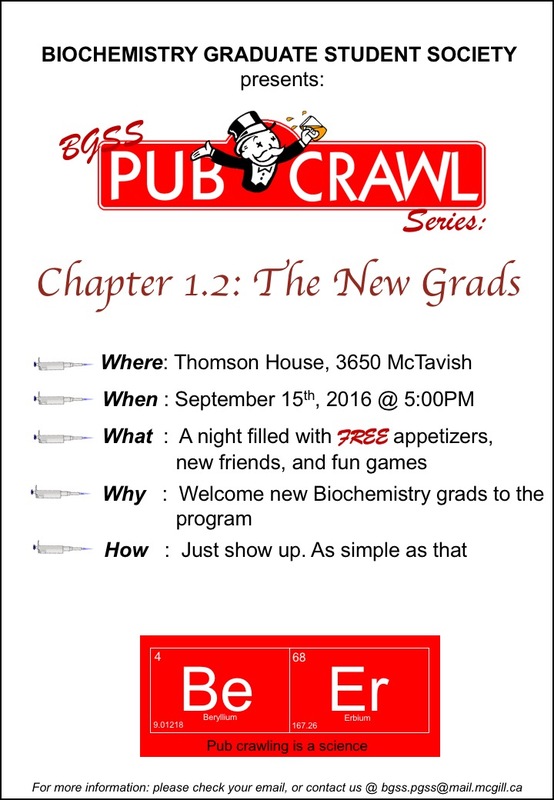 Let’s welcome all of our new fellow graduate students at Thomson House on Thursday, September 15th at 5pm. We will provide FREE appetizers and have a lot fun games planned for the evening. 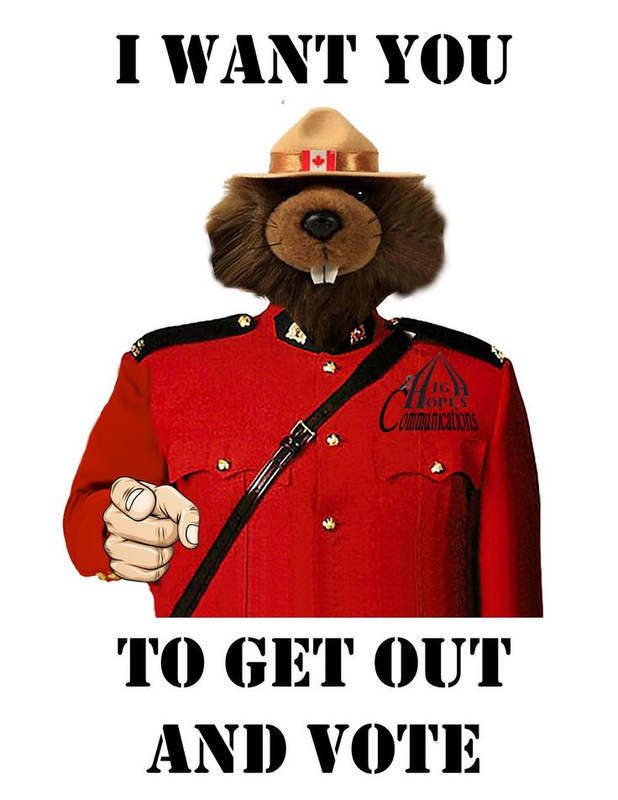 We will meet in the Bellini Atrium at 4:50 pm to walk over, or you can join us later on at Thomson House. Join us for this Back to School evening to start your semester in good company! Come out and meet new friends or catch up with old ones. Posted in Uncategorized on September 13, 2016 by mcgillbgss. The weather is definitively not cooperating with us for our dodgeball tournament. As it will most probably be raining tomorrow, we have to postpone it again. However, we WILL have this first biochemistry dodgeball tournament this fall, but inside. We will keep you posted for the new date! In the meantime, you can still signup to participate. We will see you all later in the semester for the dodgeball tournament ! Unfortunately due to the possibility of rain for Thursday afternoon we have decided to postpone our first dodgeball tournament. But don’t worry! we have already rescheduled it for next Wednesday the 14th of September also at 4pm in Lower Field. Good news is that there is more time to sign up! We encourage you to form your own teams (friends, colleagues, floors, expertise, etc.) and sign up together. And if you don’t feel like playing, don’t forget to come and cheer on your favourite team! Posted in Uncategorized, Image format on September 8, 2016 by mcgillbgss.